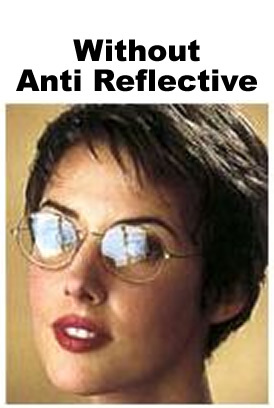 Anti-reflection coatings reduce the glare caused by relection from the surface of the lenses. This gives your eyeglasses a more natural appearance, and also improves your eye health by reducing eye fatigue. The anti-reflective coating is particularly recommended for computer operators and anyone driving at night.